Works Great! In Good Condition! Shows Some Used Signs of Wear. Come with Battery and USB cable charger. This unit has been thoroughly inspected, repaired and tested by our in-house, factory-trained technicians. As a result of the technicians' professional handling and care, the unit has been returned to factory specifications. You can expect a fully-functional unit. 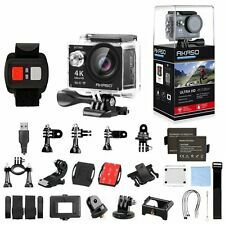 GoPro HERO 4 Session include charging cable! 1080p Ultra high Definition! 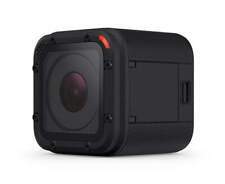 Light and compact (2.6 ounces), rugged and waterproof (33 ft.), HERO 4 Session captures amazing new perspectives. Great Refurbished condition, 100% working, tested! Capture different with HERO5 Session. Liquid-smooth image stabilization, waterproof design and go-anywhere durability help capture life as you live it. Then you can use Quik, the GoPro editing app, to automatically create videos that wow. (Supplied accessories. Refurbished) Includes Refurbished). Battery, USB Cable. Accessories Included. Works Great! No scratches on touch LCD Screen. This unit has been thoroughly inspected, repaired and tested by our in-house, factory-trained technicians. Contour Roam Action Camera. Good condition comes with barrel camera and carry bag and as card and charger/transfer cord I have never had any issues with this camera I have used it for hunting paintball and airsoft Condition is Used. Shipped with USPS First Class Package. Like new with serial C31413. Camcorder has been tested and has worked great for me. Unfortunately I misplaced the charger and battery so you will need to provide your own. 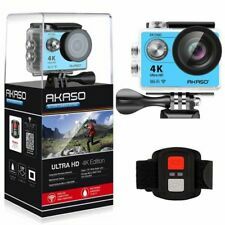 I stand behind this camcorder 100% and will offer you a hassle free return if you have any problems. I’m sure you’ll love it though as I got a lot of good use out of it. It is still in good condition overall and only shows some minor use from over the years. Works great as a camcorder and also allows you to transfer the videos onto a memory stick. Once again this is the camcorder only. No battery, charger, or memory stick included. Free USPS Priority Mail shipping. Trending at C $173.46eBay determines this price through a machine-learned model of the product's sale prices within the last 90 days. Always been in the case. But m ost PC only accept video 1080P. power saver. Screen saver. Image sensor. Frequency of Optical Source. Power source interface. Format of Videos. 59.3 24.6 41.1mm. (1) 4K super definition video; photograph 30 million pixel. WIFI: Support. HD output: HDMI output interface. 9) Support slow motion video and motion detection video. Auto power off: off / 30 seconds / 1 minute / 2 minutes / 3 minutes / 5 minutes. 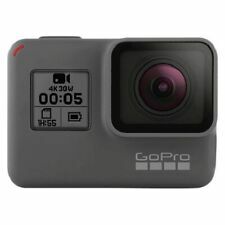 GoPro Hero 5 Black Edition Action Camera (Sealed) New In Box. Condition is New. Shipped with USPS Priority Mail. The top latch for the housing is broken but works perfectly. 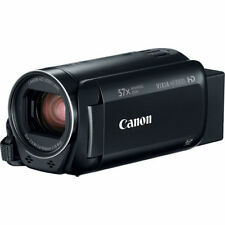 Camcorders are essential for those who enjoy recording precious moments or for making fresh video content. Because these devices come with a wide variety of technical specifications and features, choosing a camcorder can be difficult. With the right digital recorder, however, you can become a home movie maker in no time. What types of camcorders are there? Mainstream: These devices are made for a variety of uses. They are most commonly used to record home movies, personal events, sports games, and more. Advanced: These digital camcorders are used by enthusiasts or professionals due to the fact that they offer more features. They often offer higher-quality images than mainstream models. Pocket: These compact devices are small enough to fit in a pocket or small bag. 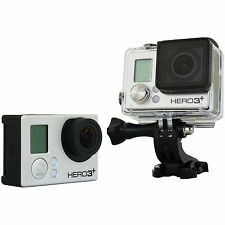 They are designed to be used by bloggers or those who enjoy capturing their adventures on camera. Wearable or mountable: These camcorders can be attached to bicycles, skateboards, pets, and people. They capture video from different points of view. What features should you consider when looking for a camcorder? Resolution: A camcorder's resolution indicates the number of pixels that are in the footage. The higher the resolution, the more clear or detailed the footage will be. Some digital camcorders offer 4K resolution, which is 4 times the resolution offered by Full HD. Bit rate: Higher bit rates allow for larger size files. The larger the file size, the higher quality the footage. Memory: Some camcorders record to SD cards while others have an internal flash memory. With SD cards, you can carry extra so that you never run out of memory. On the other hand, internal memory means you do not have to worry about keeping track of SD cards. Image stabilization: This prevents shaky footage. 3-axis stabilization will stabilize the footage on 3 types of movement while 5-axis stabilization will stabilize on 5 types of movement. Audio: If you are recording musicians or discussions, you want a camcorder that can capture audio. What factors should you consider when looking for camcorders? Battery life: Batteries on some models last longer than others so check to make sure the battery will last long enough to get your shots. Recording times: Some cameras do not process data as fast as others, meaning they cannot shoot for extended periods of time. If you need longer shoots, check the maximum recording time. Size: The larger the camcorder, the heavier it will be. If you are travelling with it, you may want a small video camera.